I'm so excited to announce that my first ever Skillshare class will be live within the next day or two! 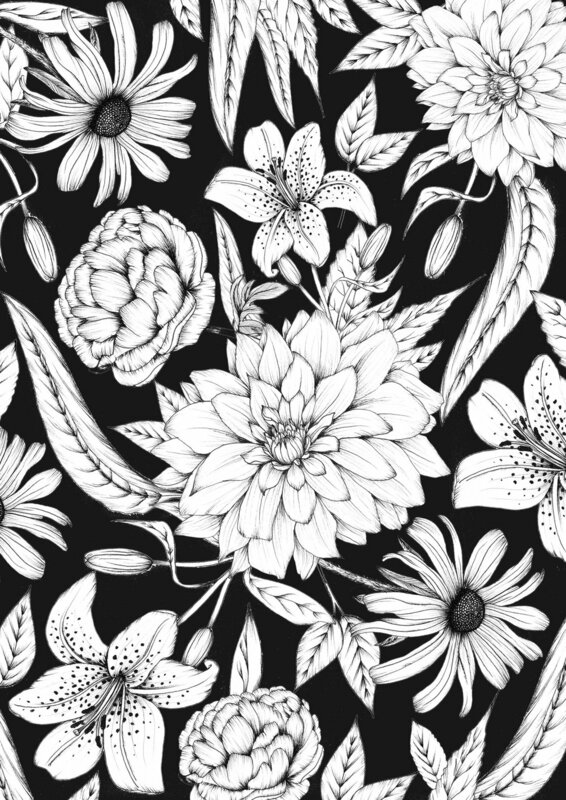 I will teach you the techniques I use to draw an assortment of florals using fineliner pens, which has become my signature style. The class will cover a good basis of floral shapes and styles in particular; peonies, black eyed susans, lilies and dahlias, along with leaves and foliage. Finally I will teach you how to digitise all of these separate drawings and combine into one beautiful illustration, using Photoshop. This class is ideal for anyone who wishes to learn a new drawing style, composition and layout skills, to combine numerous drawings into one piece. No drawing or design experience is required, as I will break up each stage into digestible, easy to follow steps. Below is my final outcome that pieces everything drawn throughout the class together, using Photoshop. The class literally covers everything, from initial outlines, to shading techniques before arriving at the final class project, to piece it all together digitally. If you're already a student of my class and you have arrived at this page for your Peony template, to practice shading. Then here it is, as promised below. Simply right click, save and print to practice away. If you haven't checked out my class yet, why not head over there now? I hope you all love it and it is of use to help you develop your drawing skills.